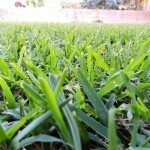 What do I do if I’m wanting to reseed my lawn and grow new grass? I have a major weed issue with both my front and back yard. I have dandelions, clover, weeds, and now fox tails growing. My grass has been a breeding ground for weeds it seems like and it comes from the previous owners not tending to the lawn. Also, my next door neighbor does not care for his lawn either so I get what ever his grass grows. I’m thinking about taking a roller to rip out our grass as it doesn’t grow very well and it just doesn’t look good. I want take out the old grass and plant new seed. The thing I’m worried about is the weeds coming back. What should I do? Spring is a great time to seed grass, make lawn repairs and treat weeds. I'm listing several articles to help you get started.